Start talking about leads-focused content marketing and someone’s bound to whip out a version of the sales funnel. The team at Well Planned Web has one too. In fact, it’s been at the core of our content methodology for years. We work primarily with clients that have a complex sales cycle of six months or longer. 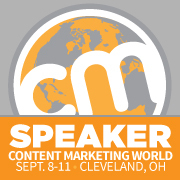 Content must meet buyers as they move through their buying journey. And, the more complex the sale, the more content they’ll likely consume before making contact with a sales person. Like so many marketing and sales approaches, the traditional sales funnel is focused on one thing: quantity, quantity, quantity. It’s a numbers game and relies on “spray and pray” content and delivery. With simple transaction-based or B2C sales, that approach may work. But when selling a complex, high-cost product or service, it just doesn’t. We raised the flag and refocused on nurturing a while ago and even pushed back on select clients that were obsessed with the numbers. The issue: no regard for how likely that pile of leads was to convert. Marketers must let go of the notion that ROI = quantity of leads. Sure, volume looks good on paper and in weekly reports. But once marketing proudly hands those leads off to sales, what happens? 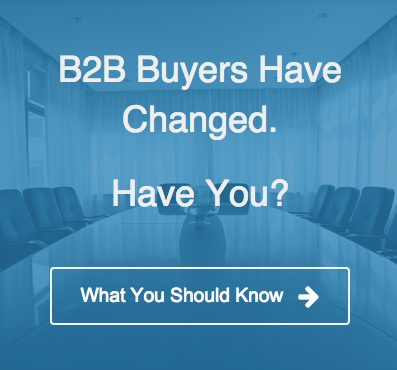 50% of marketing generated leads are not followed up by Sales (MillerPierce). That handoff from marketing to sales continues to fail with the numbers-based approach. Marketing claims Sales doesn’t follow up. Sales claims that the Marketing leads stink. Sadly, both claims are often true. If we’re talking large-sized engagements, contracts or accounts, that second option should look pretty attractive right about now. Identifies and Defines the Accounts that the Sales team already knows they want. Engages Contacts within those accounts using highly relevant content. That content will be passed along and Expand its reach to additional contacts within the account. Nurtures those contacts on a hyper-tailored scale. Content equips the sales person to Consult and Solve on a level that’s personalized, meaningful and real. Gone is the noise of broad-brush content. Gets contacts within an account talking — ultimately Selling your product to each other. Call them advocates, fans or friends. Regardless, they’re making your case within their walls. Account-Based Marketing isn’t a new concept — it’s just a new way to look at the Marketing, Content and Sales relationship. In the end, all tactics are designed to convert — not to pile on names or mull through unqualified leads. 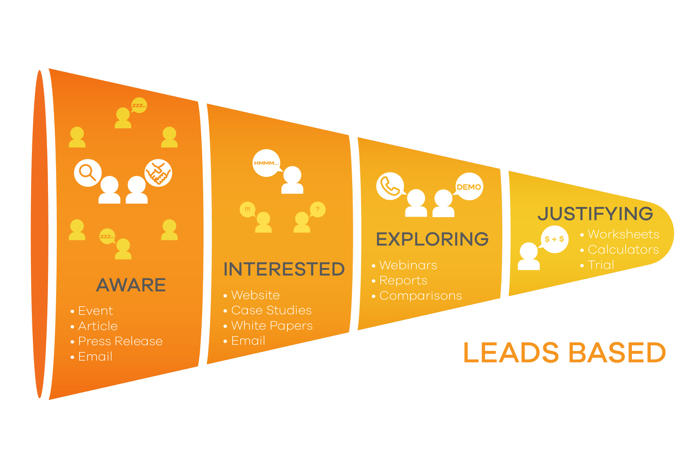 We’ve been using this flipped funnel for several years now with clients focused on growing their existing customers. But, today, we join other Funnel Flippers in the exciting revelation that this approach makes sense for bringing on new customers, as well. Traditional or flipped, both funnels require relevant content that’s mapped directly to the buyer’s needs, hot buttons and decision points. 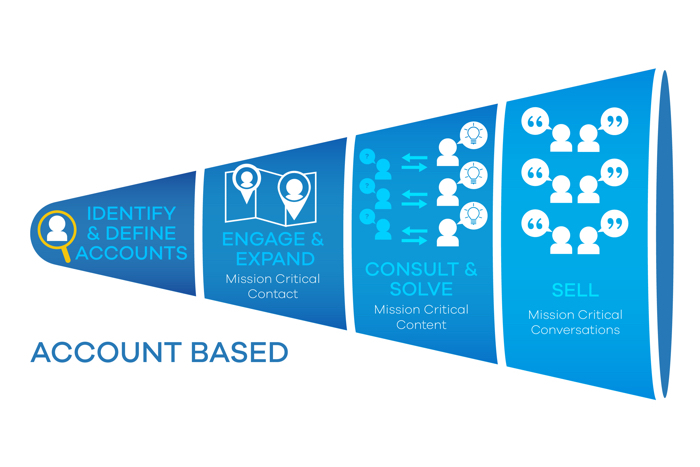 The difference with the Account-Based approach is that the content can be distilled to a hyper-relevant level — speaking to a specific account list. The result? Hyper-relevant content delivers hyper-qualified leads. Ready to Make the Flip? Does your funnel feel full but fruitless? Maybe it’s time to look hard at your target accounts and structure your content strategy around your sales team’s dream accounts. Contact us today and let’s look at what makes the most sense for your team. 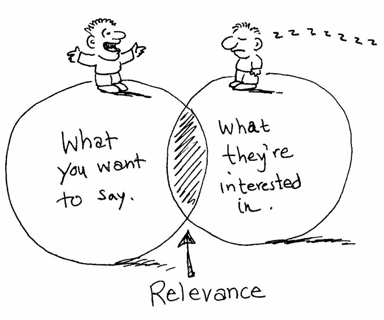 Relevance wins. Opportunities arise. Sales ensue. Hey Deana, I love the concept. I think there’s 2 funnels! You still have your website which is going to bring in leads but you’ll use automation to filter out the relevant ones. And then you have your other funnel where you identify how prospects and create content particular to them. This will be the small list! See you in a few weeks! Aw, this was a really nice post. In concept I would like to put in writing like this moreover â€“ taking time and precise effort to make an excellent articleâ€¦ however what can I sayâ€¦ I pracorstinate alot and by no means seem to get something done. By febbraio 20, 2013 – 5:40 amI do not even know how I ended up here, but I thought this post was great. I do not know who you are but definitely you are going to a famous blogger if you are not already 😉 Cheers!